Estimated to affect millions of Americans during late fall and subside in sunnier months, Seasonal Affective Disorder (SAD) is depression, causing mood and appetite changes, lethargy, and irritability. But, these symptoms can also occur in men with ‘borderline’ androgen deficiency (low testosterone) and a decline in estrogen in menopausal women. Increase Vitamin- D: Vitamin-D deficiencies have been linked to a wide variety of illnesses, including depression. Just 15 minutes of exposure to natural sunlight daily is important for nutrition and essential for mental health, bone density, vitamin D production and other health benefits. Ask your doctor to check your vitamin D level and take a vitamin D3 supplement if it’s too low. 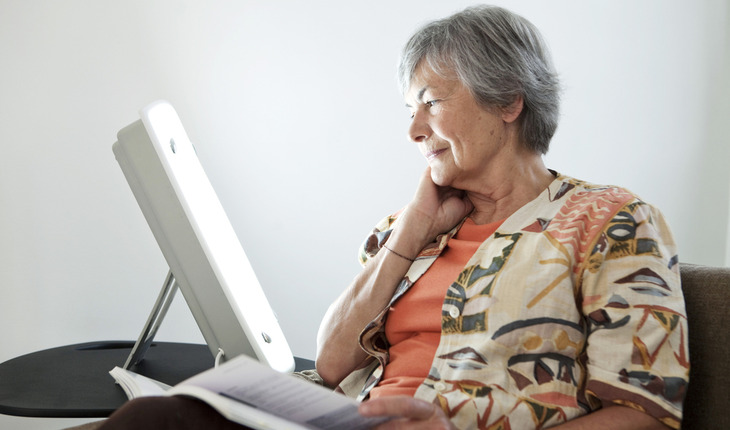 Light box therapy: Sitting directly in front of an intense light for 15 to 20 minutes at the same time daily can elevate seasonal symptoms. Diet and chocolate: Diet is critical for managing mood. Control carbohydrates, opt for vegetables and keep meals light. Chocolate can affect serotonin and positively affect mood. Don’t give in to cravings for foods high in carbohydrates as weight gain adds to the urge to be a ‘couch potato’ with feelings of sadness. Stronvivo, a nutritional supplement combines L-Carnitine, L-Arginine and other targeted amino acids and minerals to naturally aid with depressive symptoms by improving the health of blood vessels, arteries, veins and capillaries, that break down during the aging process. By increasing blood flow, nutrients and oxygen are delivered to the brain, muscles, organs, and skin to aid depression, enhance energy, improve circulation and boost brain function. L-Arginine which supports healthy hormone levels is also abundant in meat, fish, poultry and dairy products. Exercise: Regular exercise, even a morning or noontime walk, is good for any type of depression including SAD. Consult with your doctor to determine the actual cause of your depression or other symptoms to determine the best course of treatment.